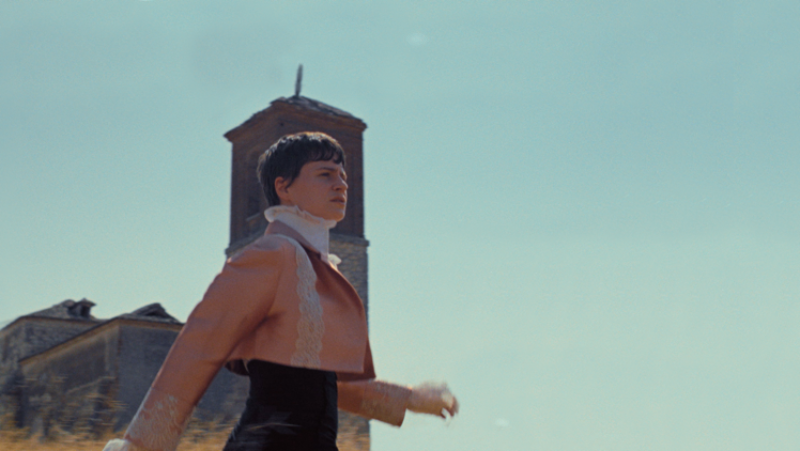 A few days away from the release of her new album Chris, Christine and the Queens has premiered a video directed by Colin Solal Cardo for her song “La marcheuse” (French version of ‘The walker’). Keeping in line with the aesthetics of her latest work (analog film grain, close-ups on Chris’ face, bright sunlight), this clip reveals a more romantic side to Christine. With gentle sun-drenched images set in a desolate rural scenery, it focuses on the gaze and stirs up the viewer’s muted longing for violence and conflict. Chris was written, arranged and performed by Christine and the Queens. It is the follow up to her already-iconic debut record Chaleur Humaine, released to near-universal acclaim in France in 2014 and the UK in 2016, and selling more than 1.3 million copies to date. Chris will be released by Because Music in digital and physical formats, including double CD and vinyl versions, as well as limited edition boxsets, on September 21st. Alongside “5 dollars” and “Doesn’t matter,” Chris features Christine and The Queens’ acclaimed comeback single “Girlfriend” – a fixture on the BBC Radio 1, 2 and 6 Music A lists and praised by the likes of New York Times, Pitchfork and FADERin recent weeks. Christine and the Queens has announced a full tour of Europe, Canada and the United States for the fall. See below for the full list of dates. See christineandthequeens.com for ticket information.